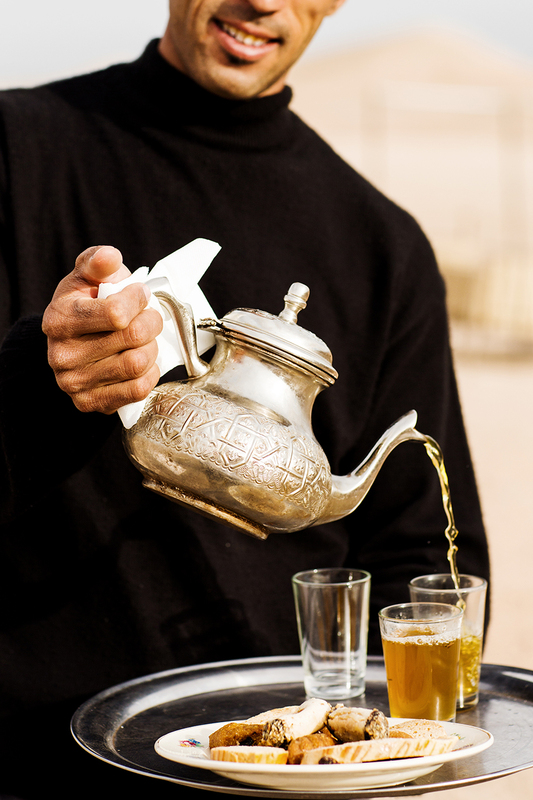 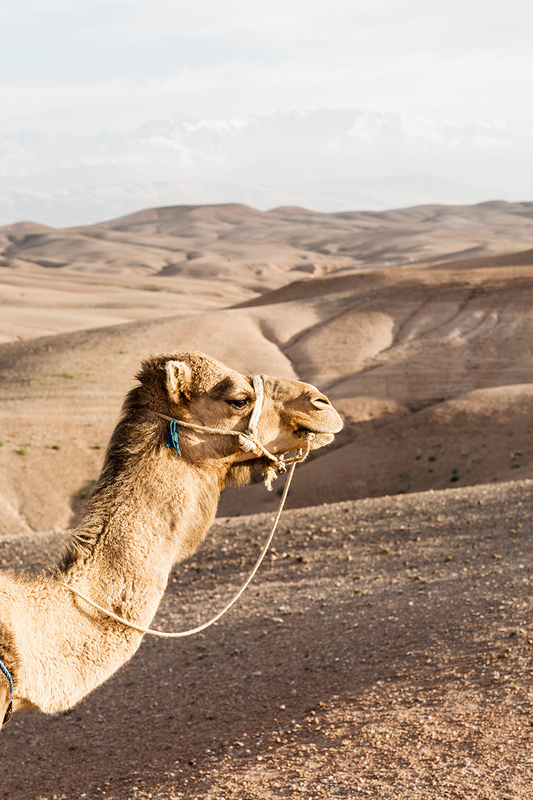 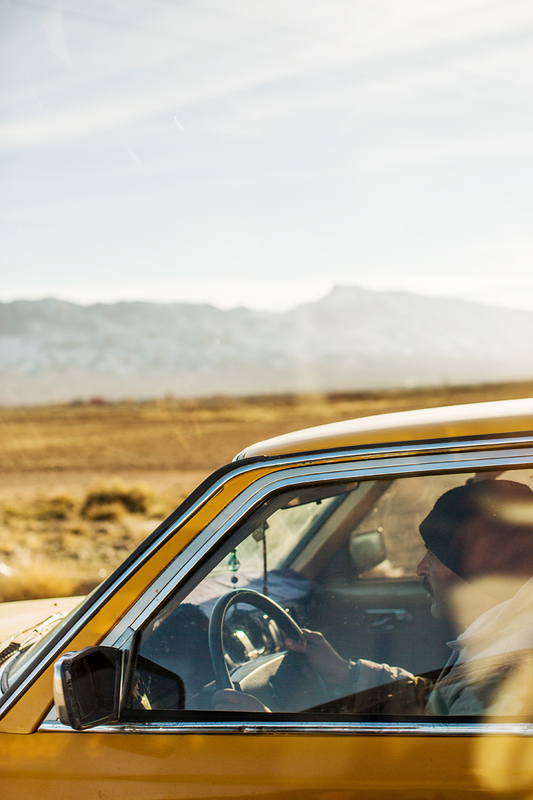 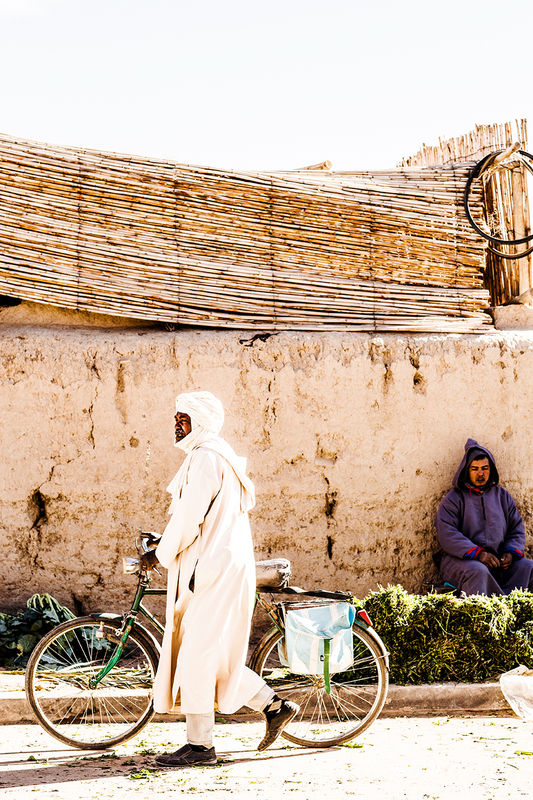 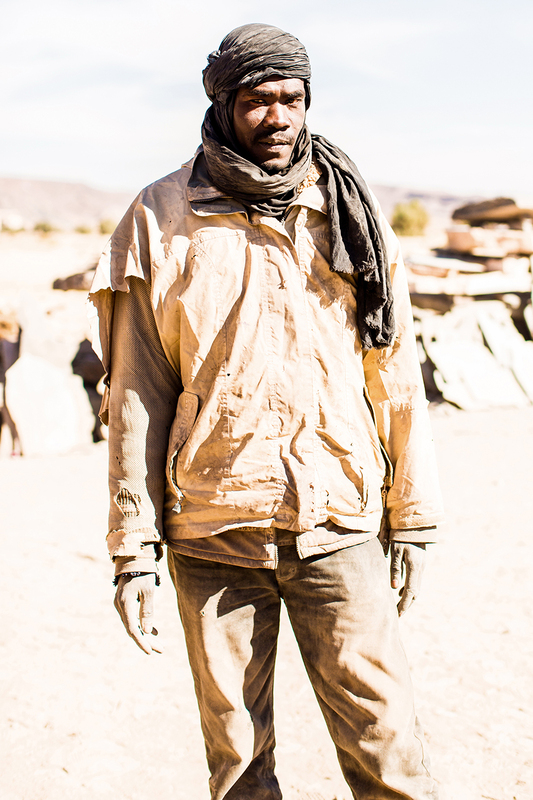 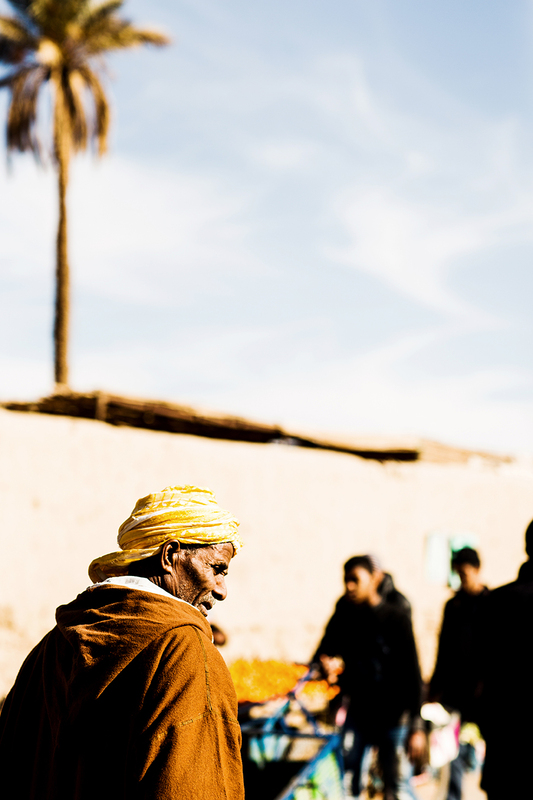 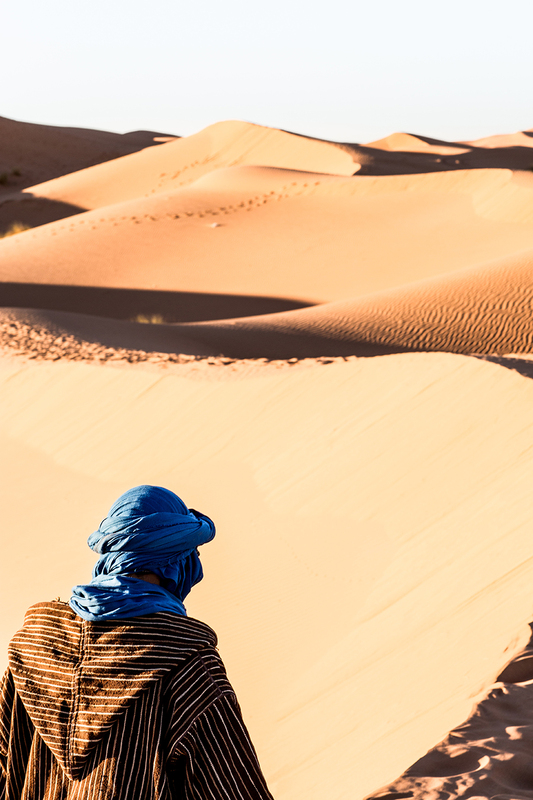 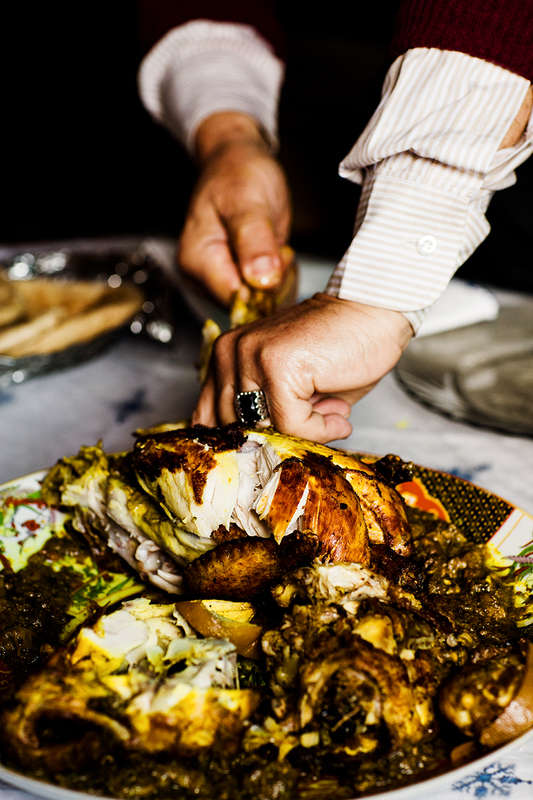 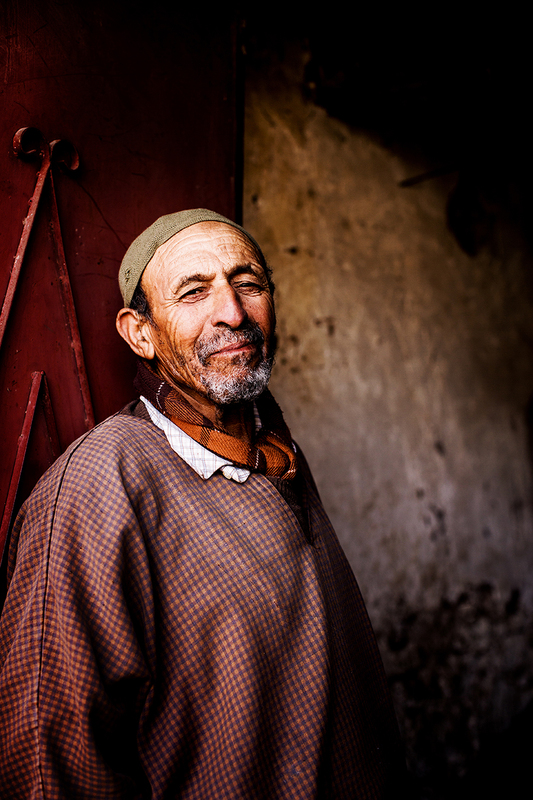 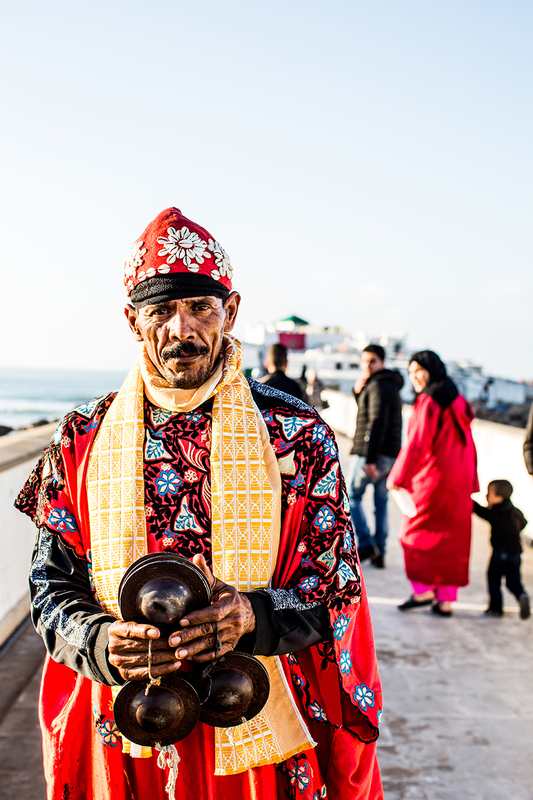 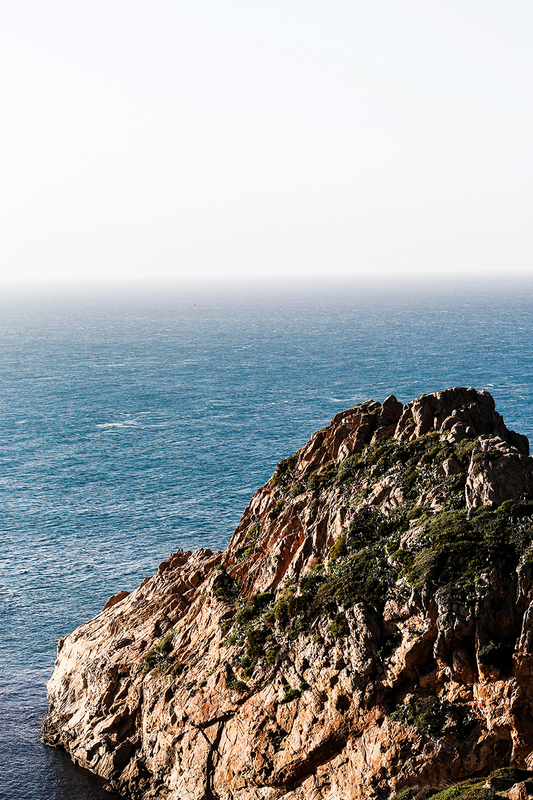 Travel & destination feature documenting everyday life in Morocco. 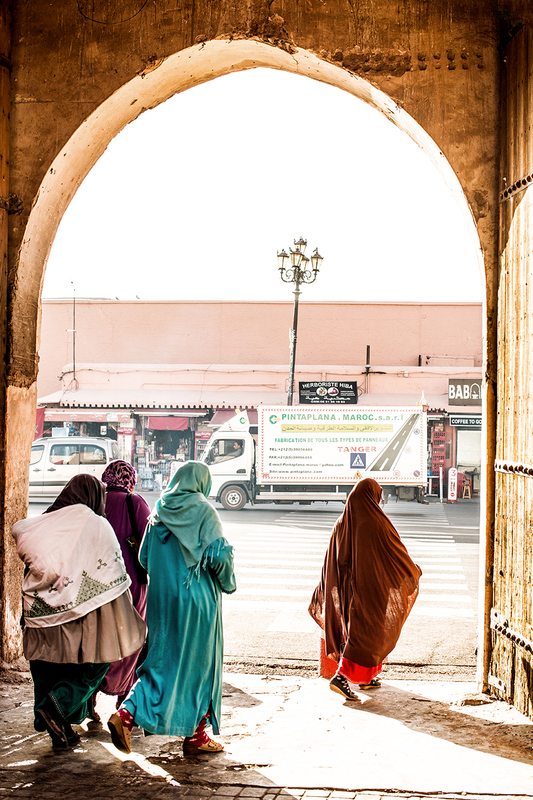 Photographs from a personal road trip through the country including Marrakech, Tangier, Casablanca, Atlas Mountains, The Sahara and everywhere in between, published December 2017. 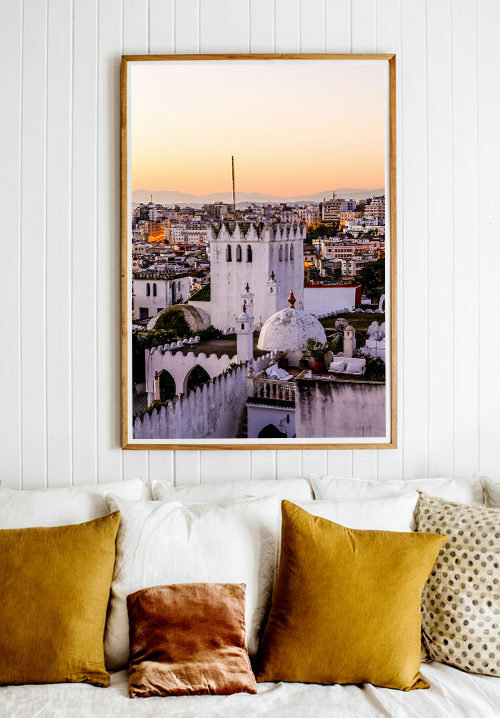 This body of work was later released as a photographic print collection. 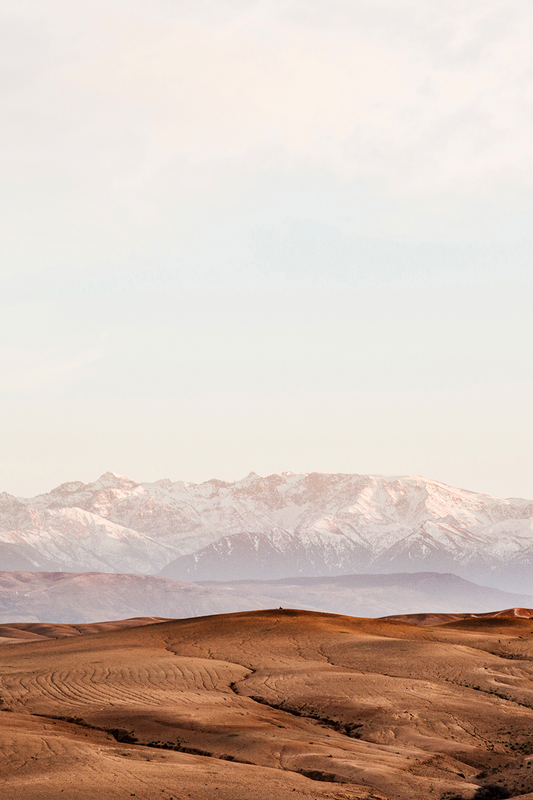 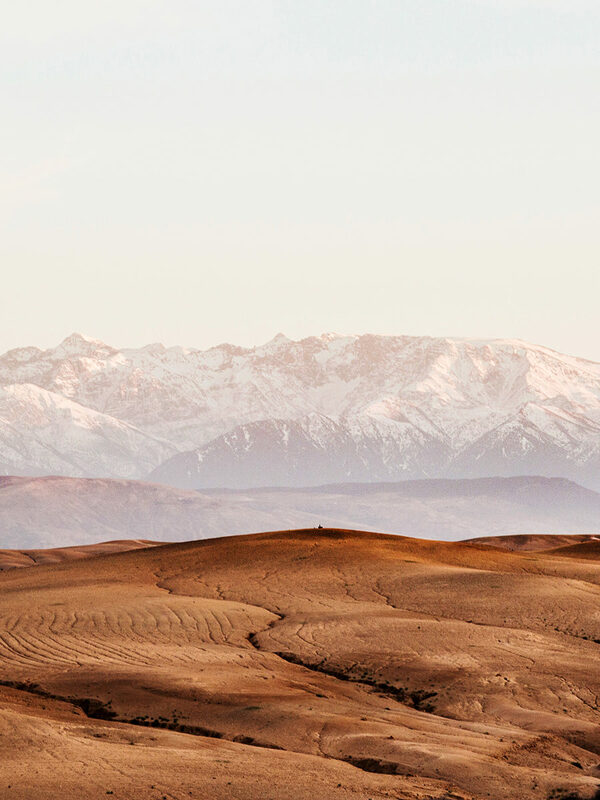 Above left: the High Atlas Mountains, Morocco. 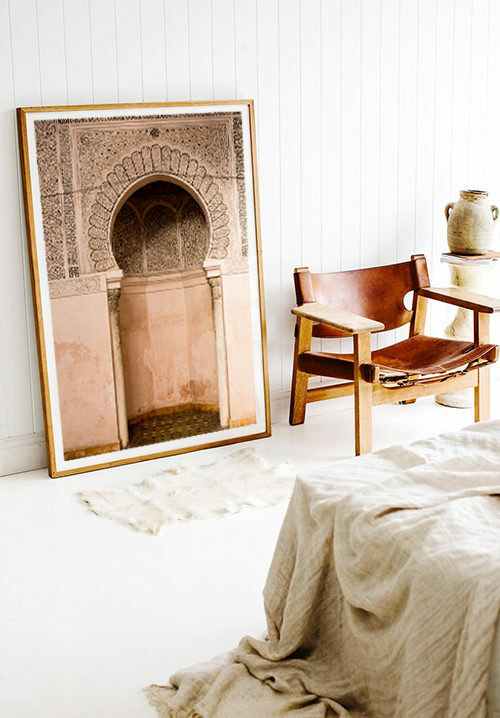 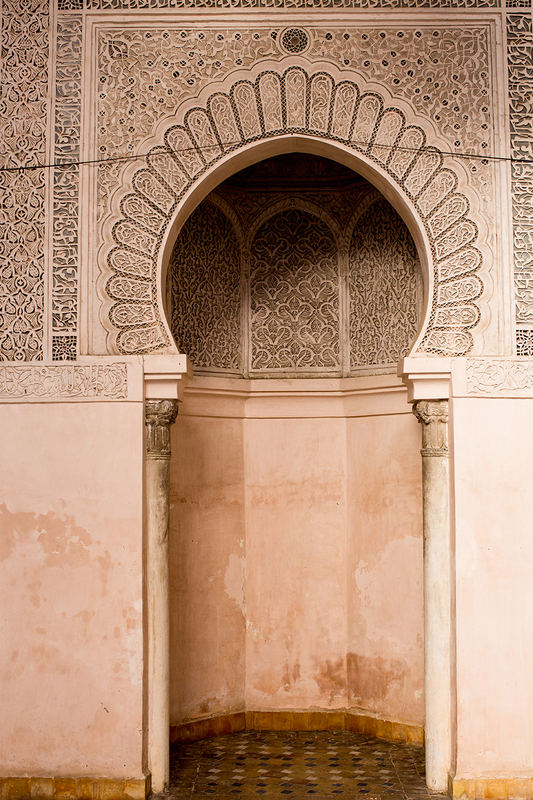 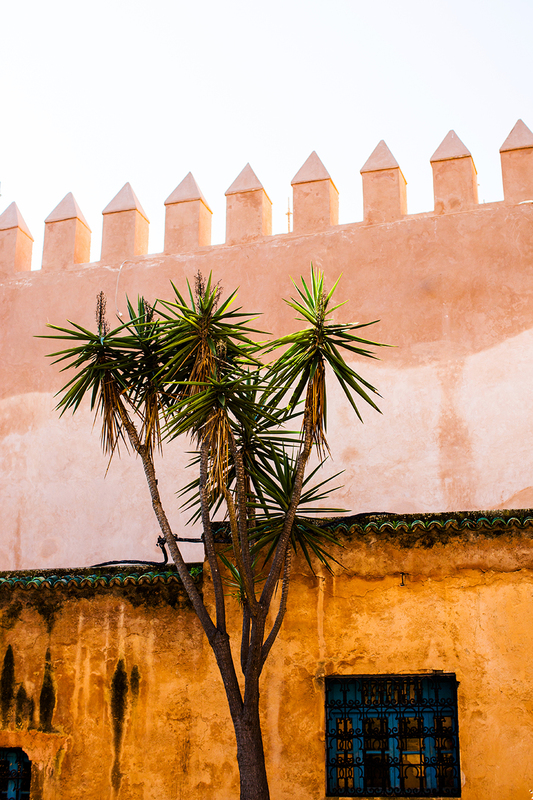 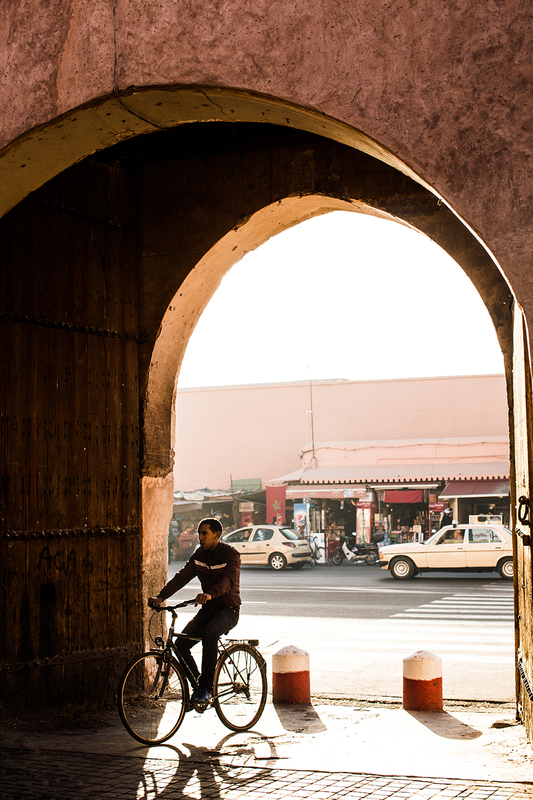 Available for purchase as a photographic print / Above right: classic Moroccan archway in Fez. 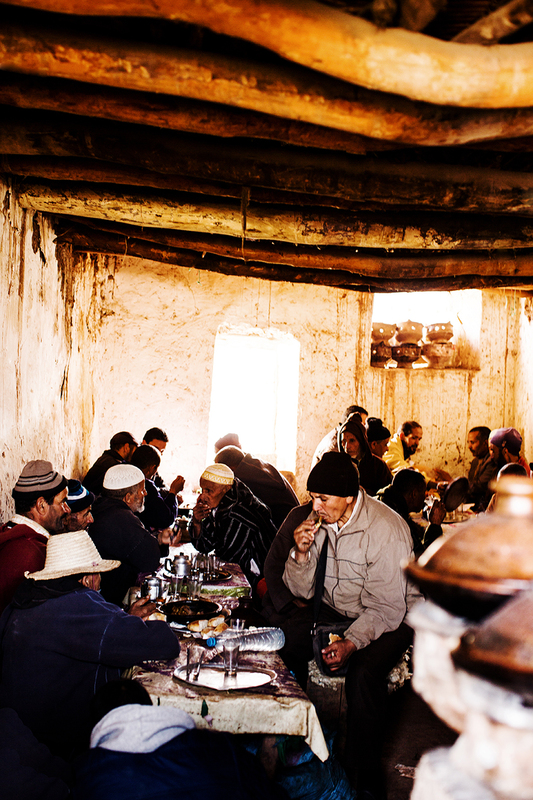 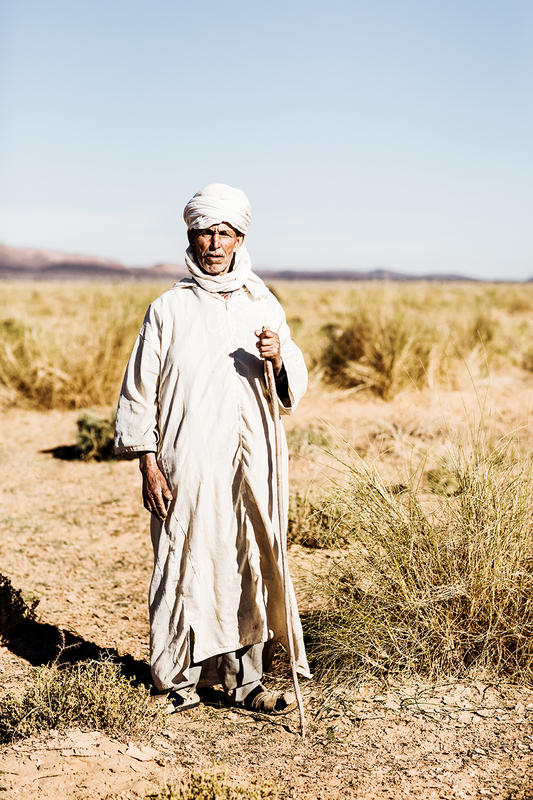 Above left: a villager on the outskirts of Marrakech / Above right: local men gathered for lunch, Morocco. 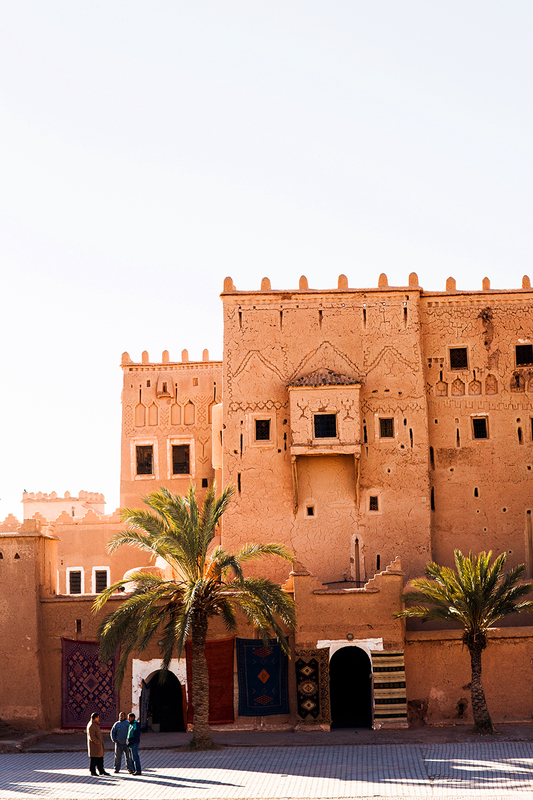 Above left: the architecture hints at a culturally influenced past / Above right: classic Moroccan faire, ‘cous cous Friday’. 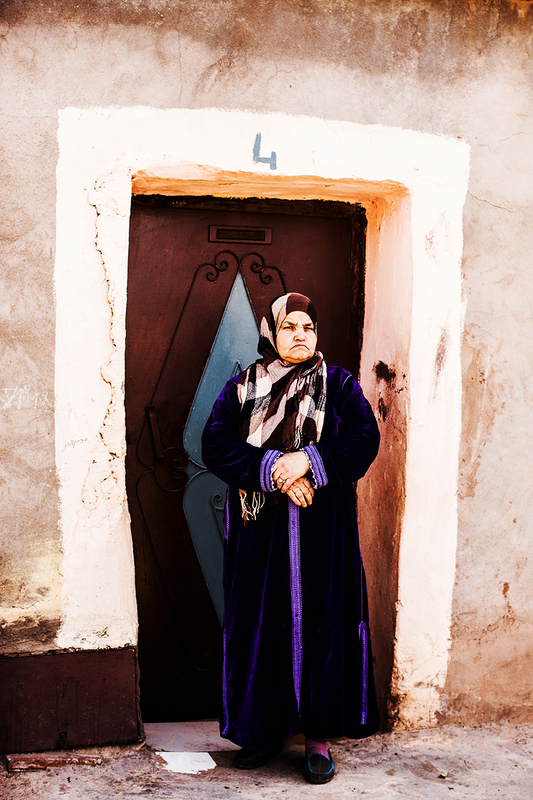 Above left: local women on their neighbourhood streets in Marrakech / Above right: elaborate Moroccan building exterior in Adobe. 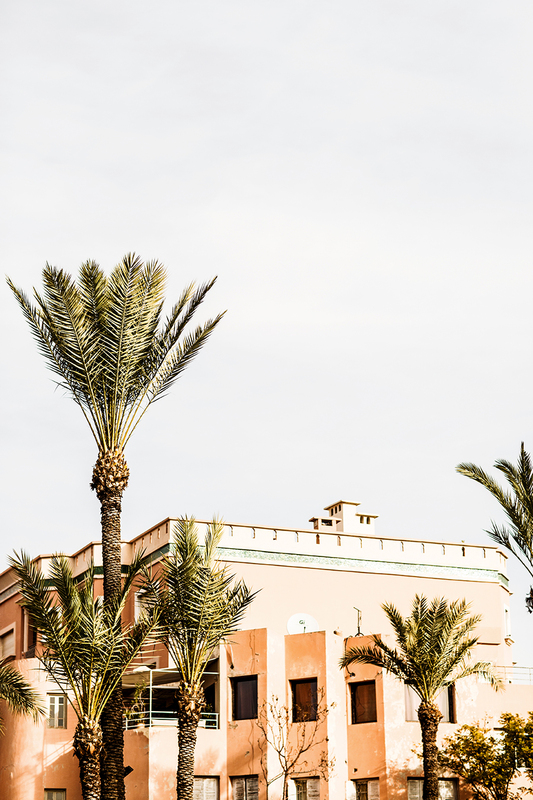 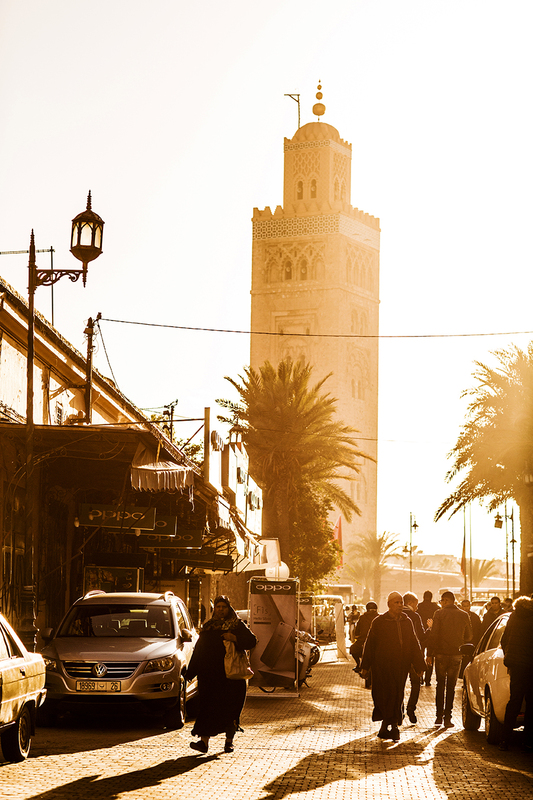 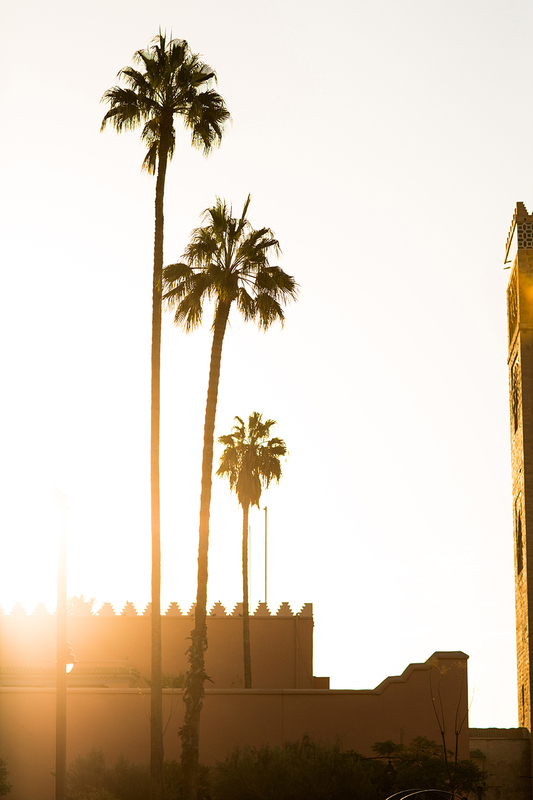 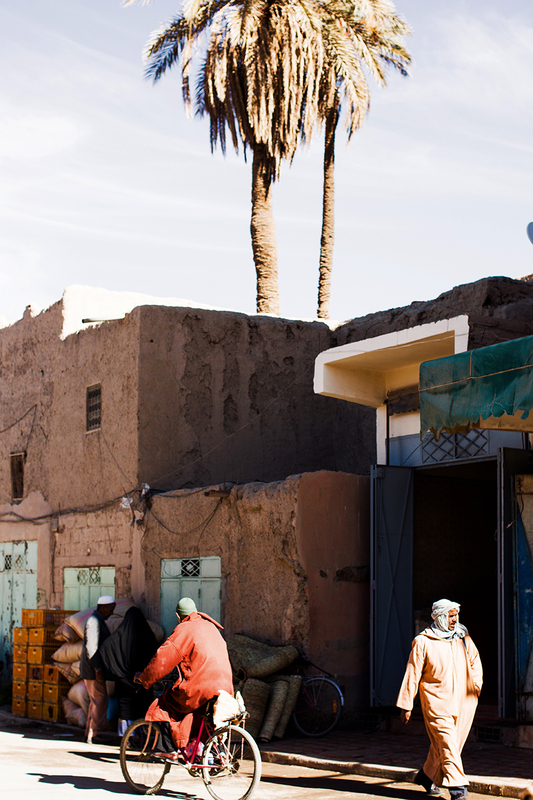 Above left: locals on the street of Rabat / Above right: the afternoon sun blankets Marrakech. 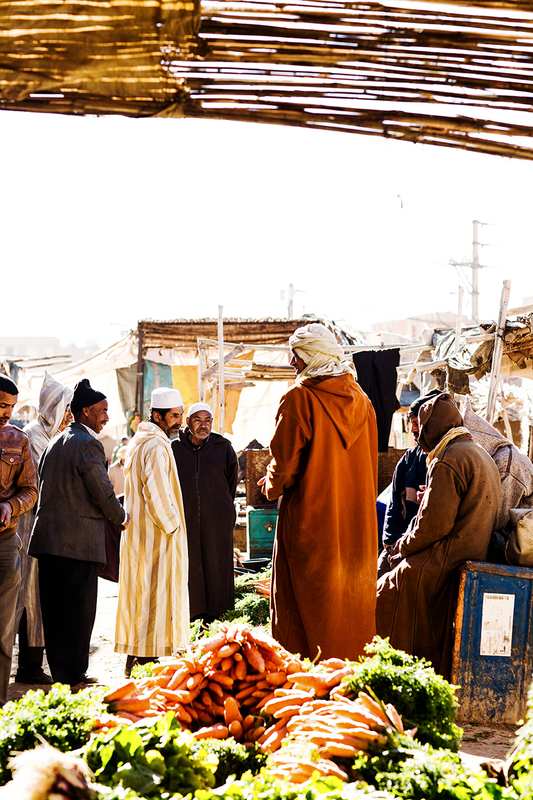 Above left: traditional walls line the streets / Above right: fresh produce at the morning market in Rabat. 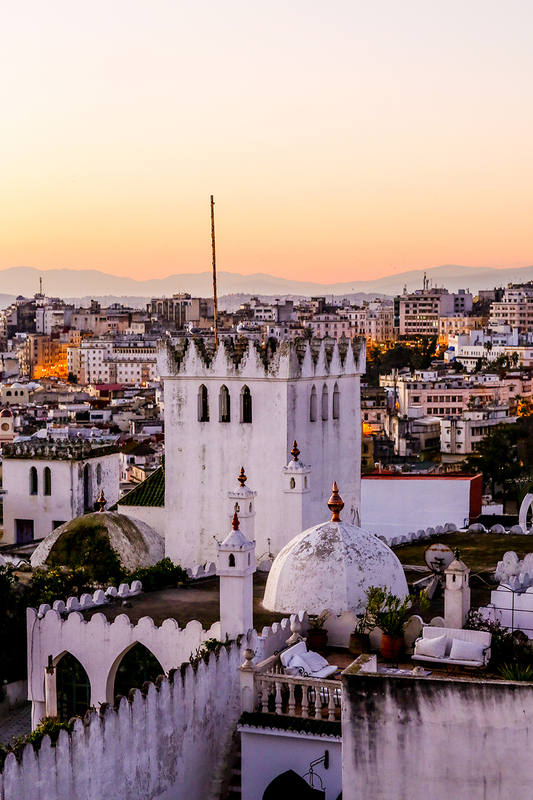 Above left: sunrise over Tangier, Morocco. 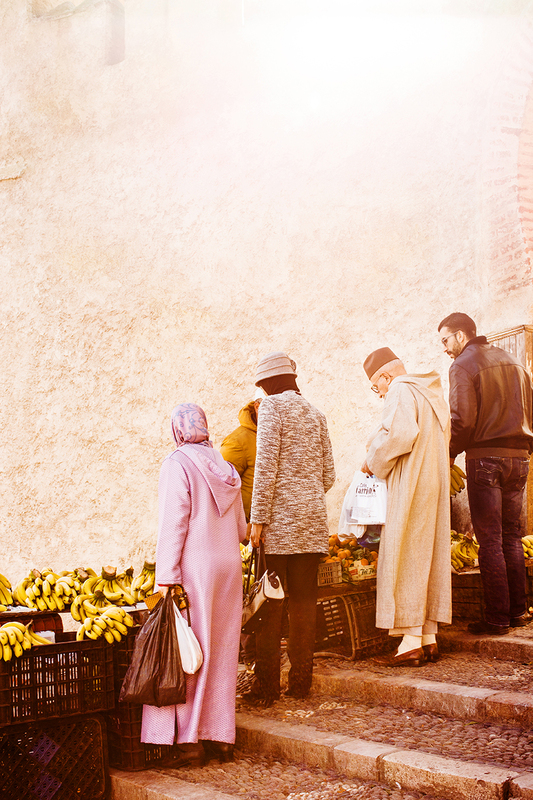 Available for purchase as a photographic print / Above right: local villagers at the mid-week market at dawn in Tetouan. 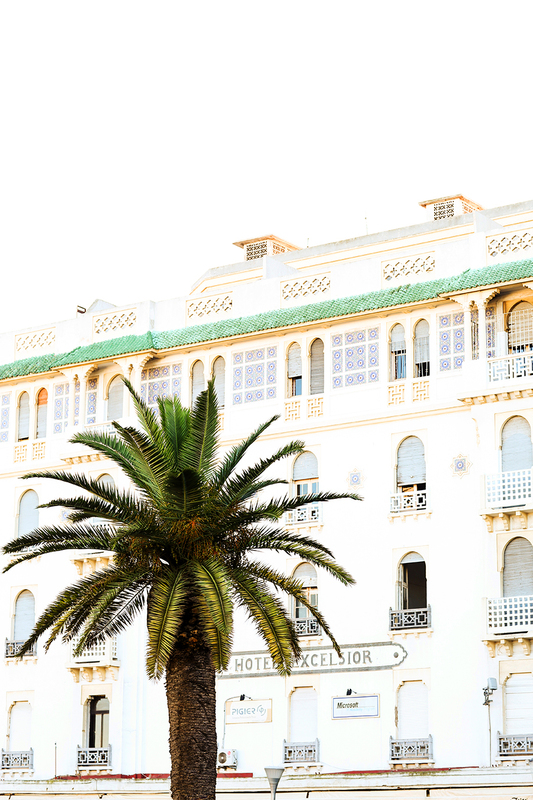 Above left: a shepherd walking the plains of the Sahara / Above right: Hotel Excelsior on the coast of Tangier. 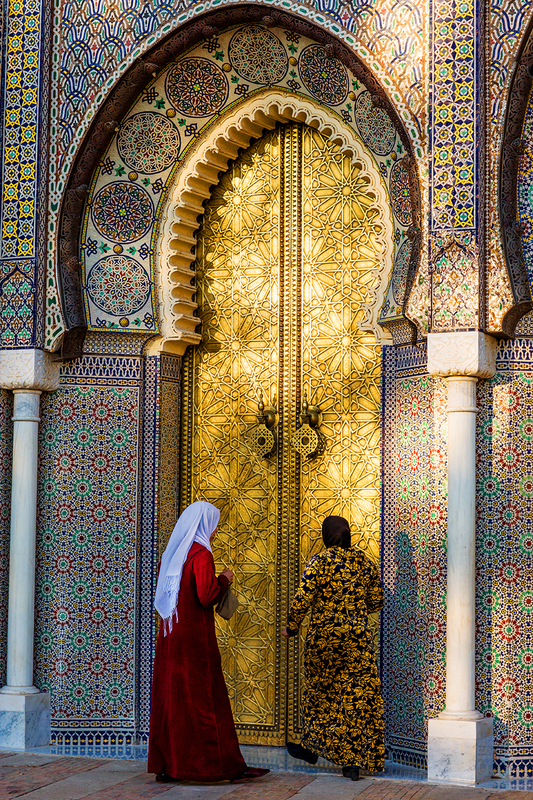 Above left: elaborate gilded entranceway in Fez / Above right: a taxi driver in the afternoon. 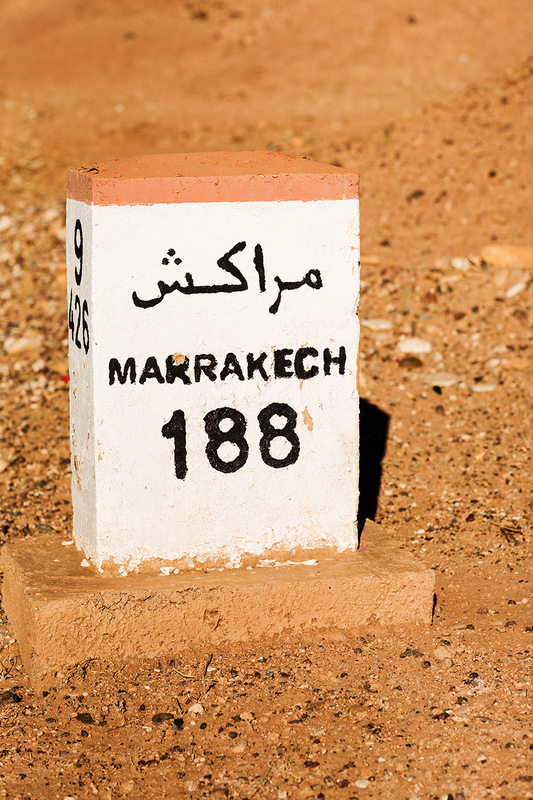 Above left: a local at the village market / Above right: a sign displaying the distance left until reaching Marrakech. 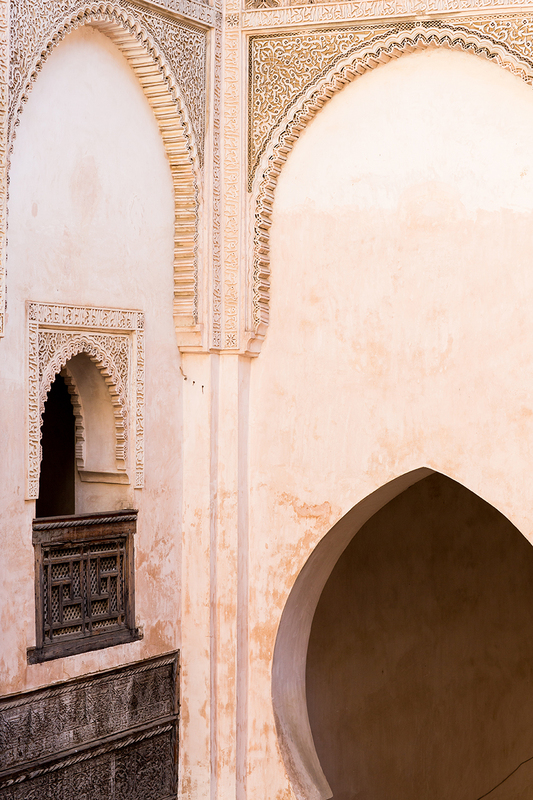 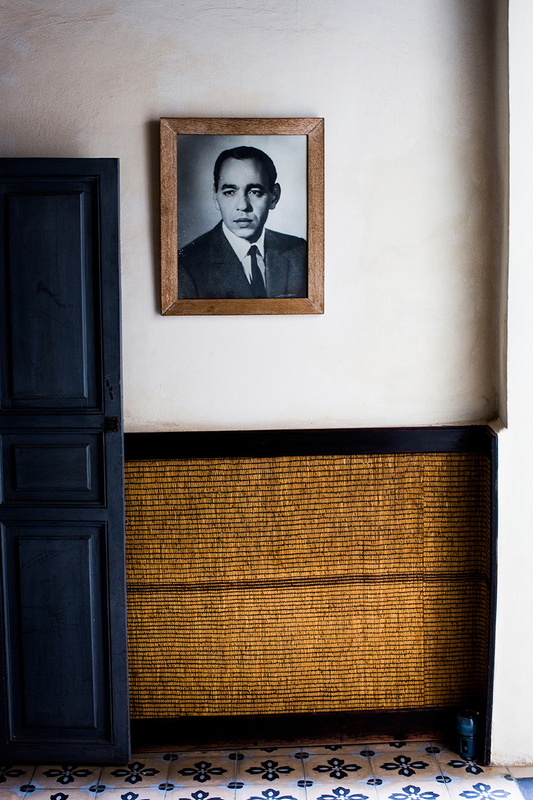 Above left: a portrait of the young king, displayed in the entranceway of Riad Tarabel / Above right: gallery balconies looking to the streets below in Fez. 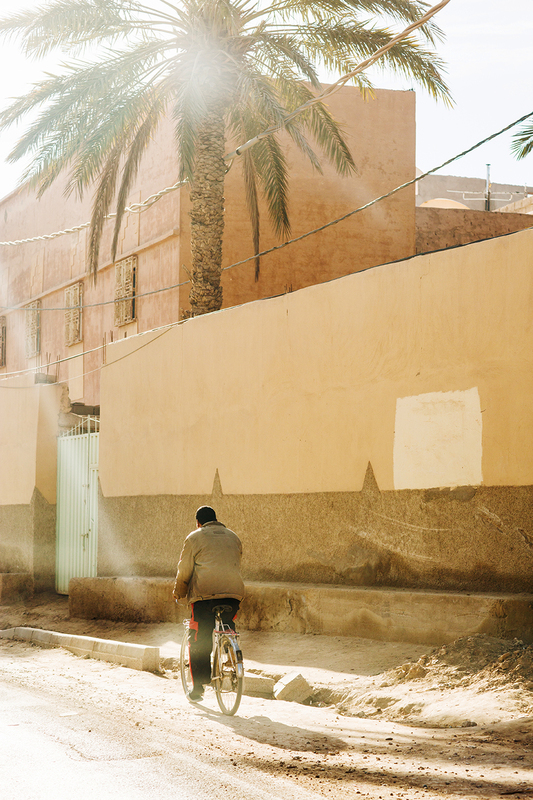 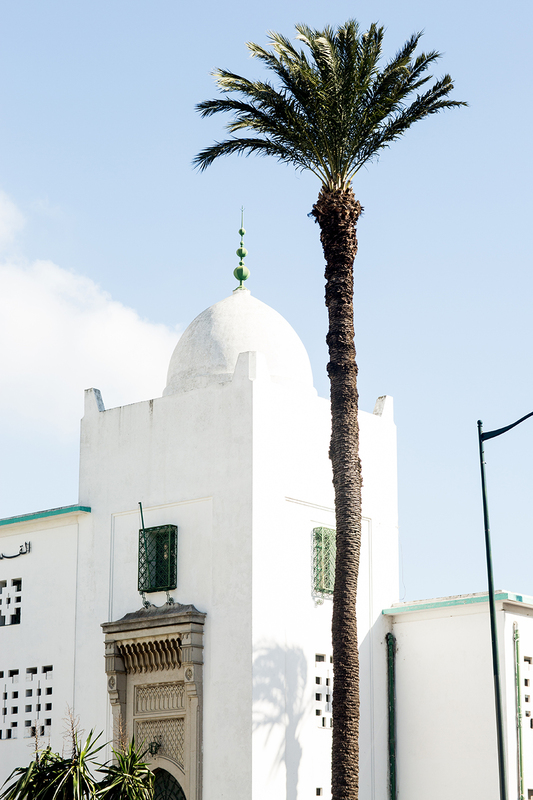 Above left: palms in the afternoon sun / Above right: a local man pushes his bicycle through the streets of Rabat. 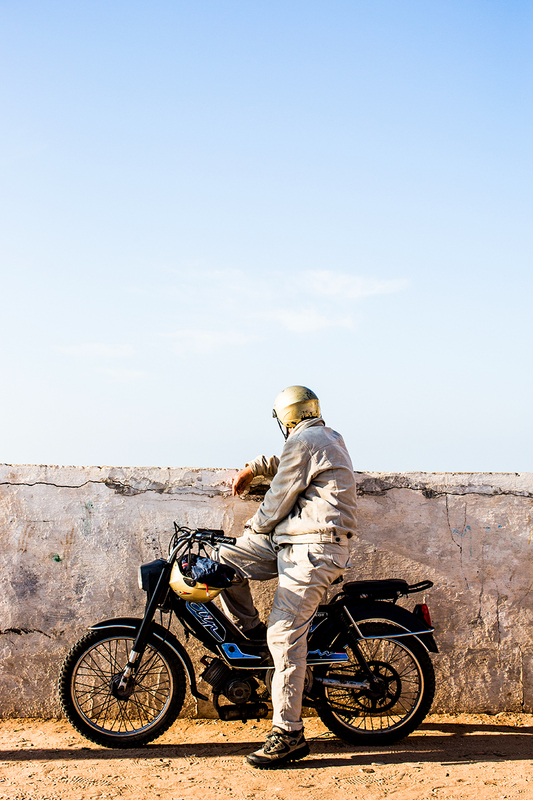 Above left: a bricklayer stands in his worksite / Above right: a man cycling through the streets. 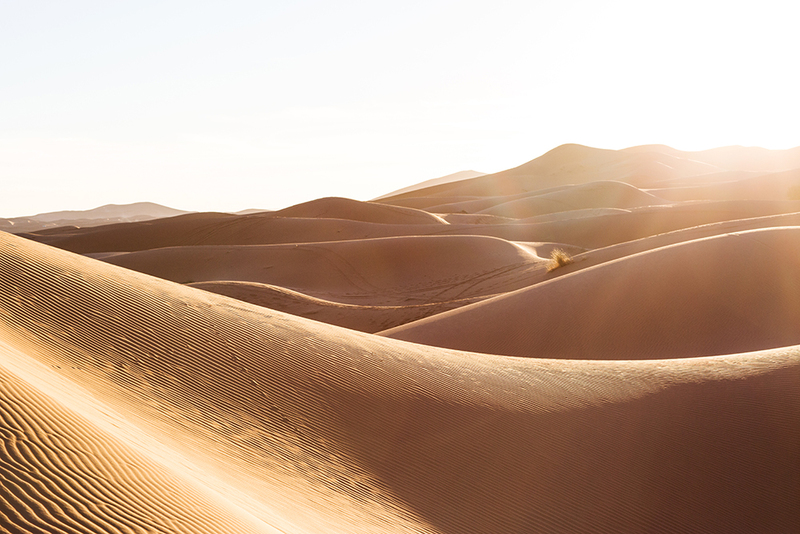 Above: the vast, sweeping dunes of the Sahara, Morocco. 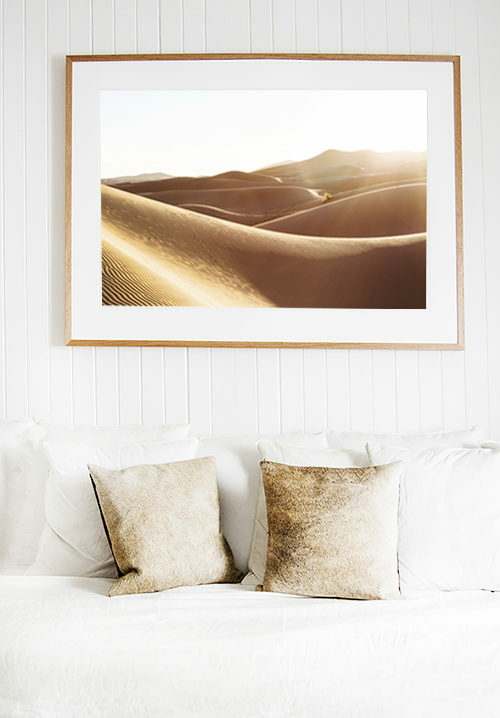 Available as a photographic print. 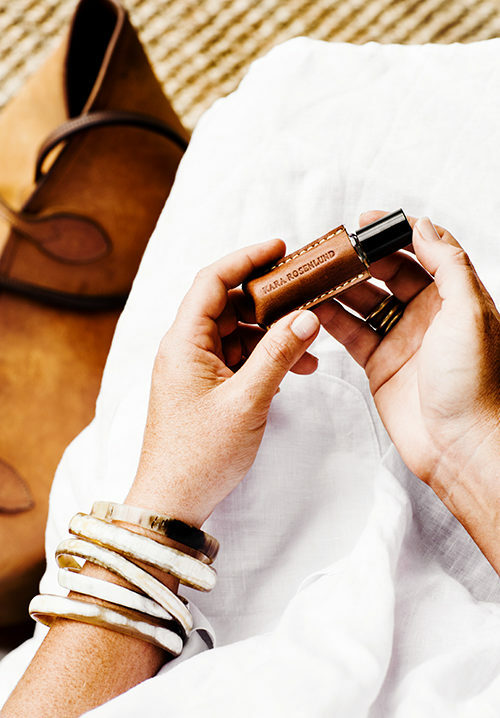 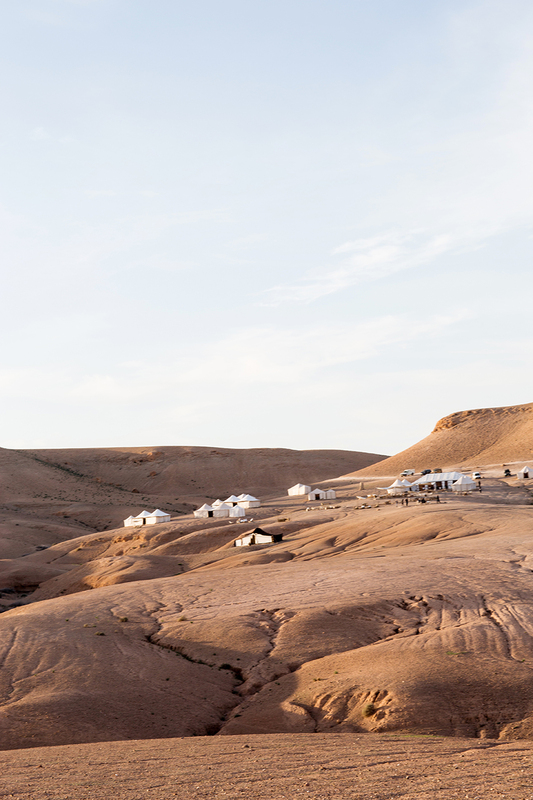 Above: in the vast Sahara Desert. 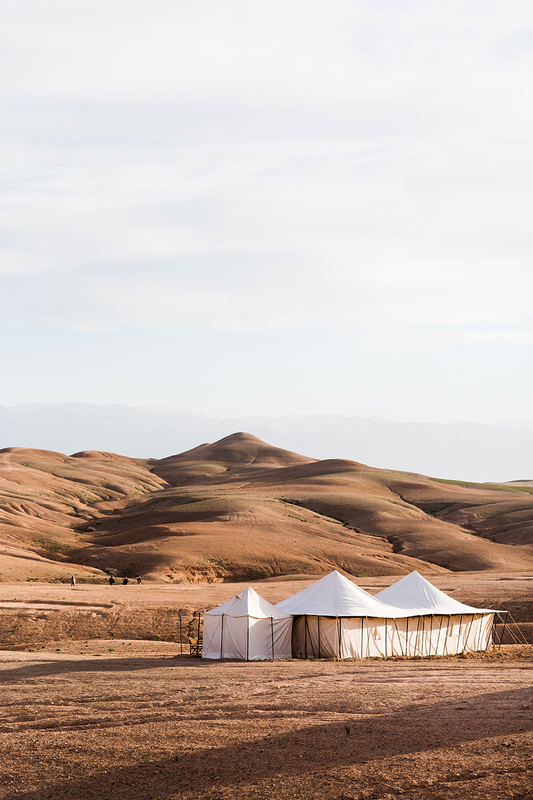 Above: a desert camp in the afternoon sun, Morocco. 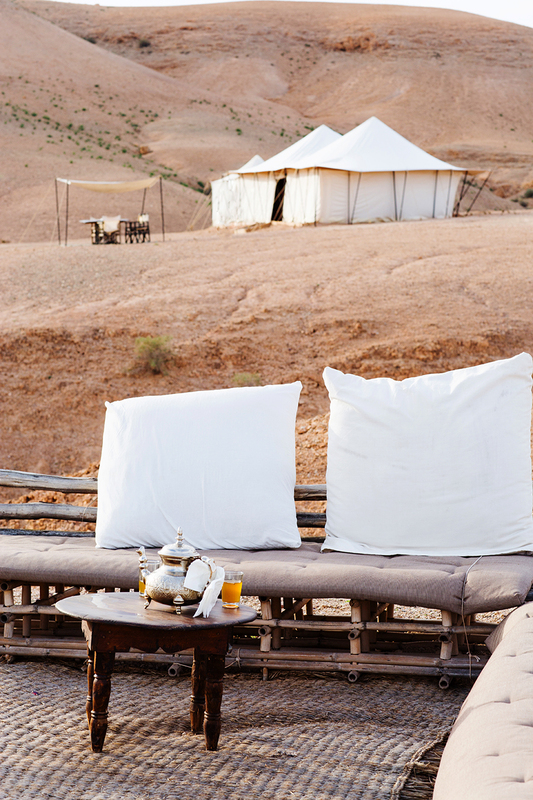 Above left: traditional mint tea is served / Above right: desert camp. 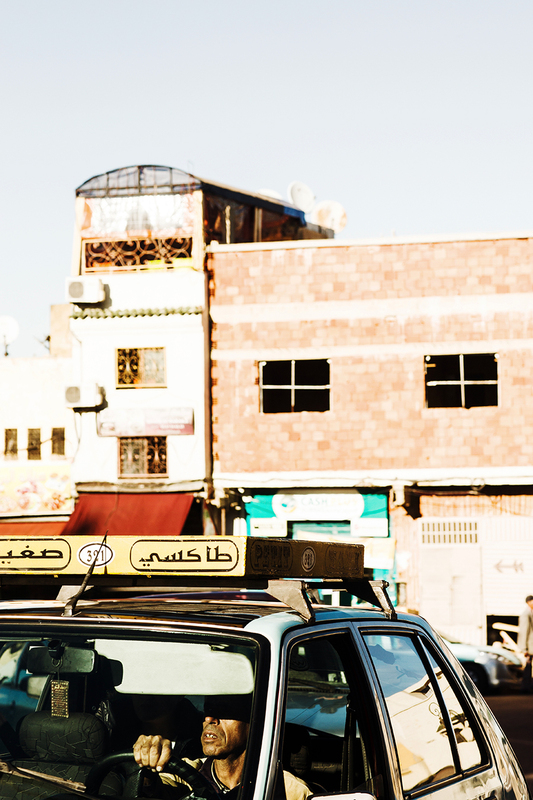 Above left: locals in town, Morocco / Above right: a taxi driver on the highway. 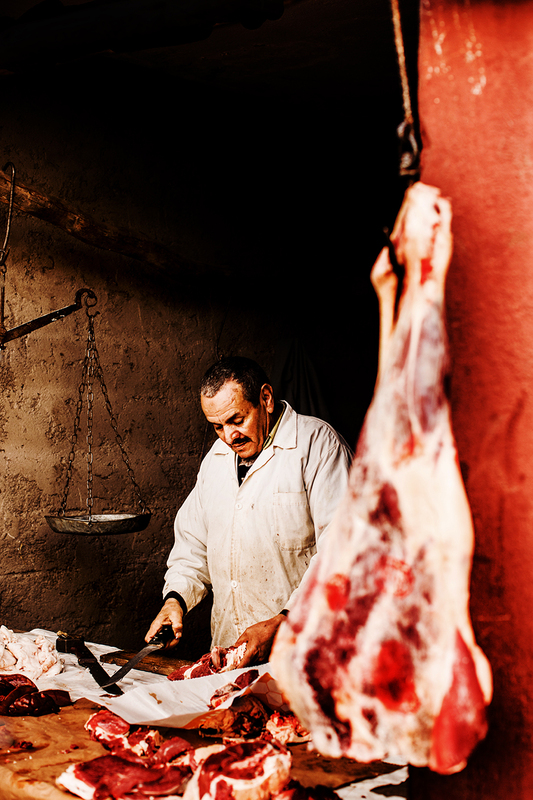 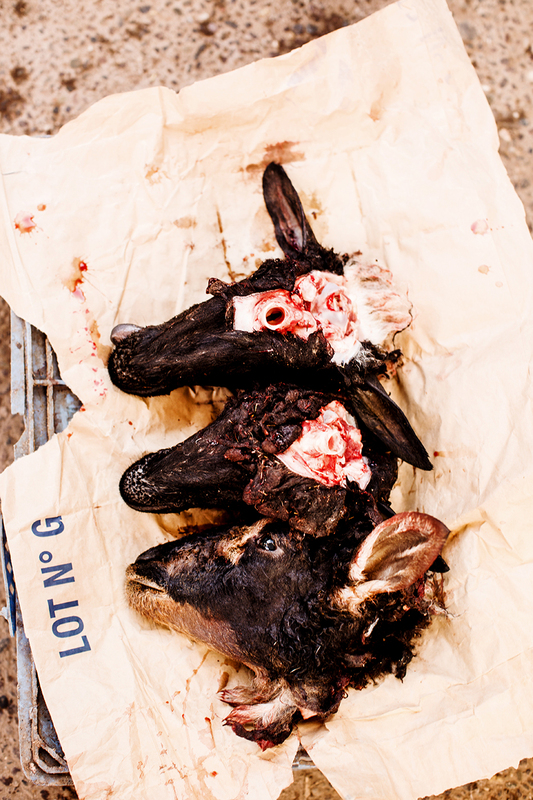 Above: a lifelong butcher goes about his daily work. 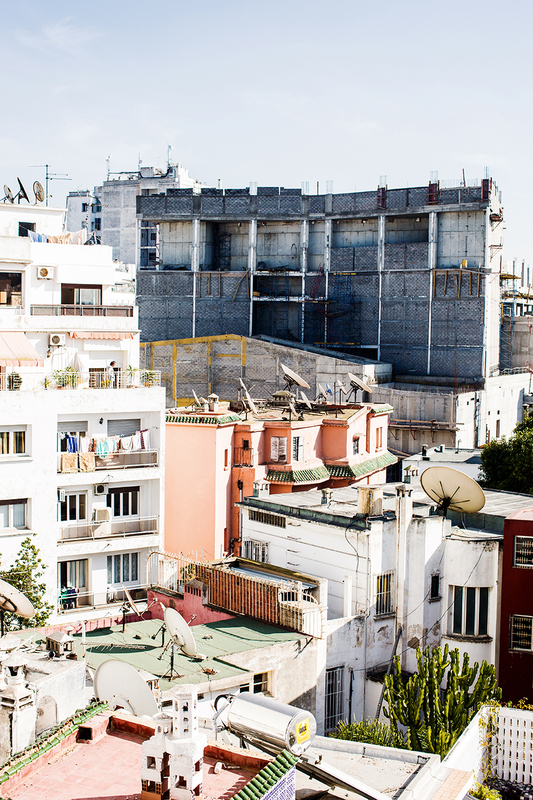 Above: the brilliant white architecture and blue seas of Tangier. 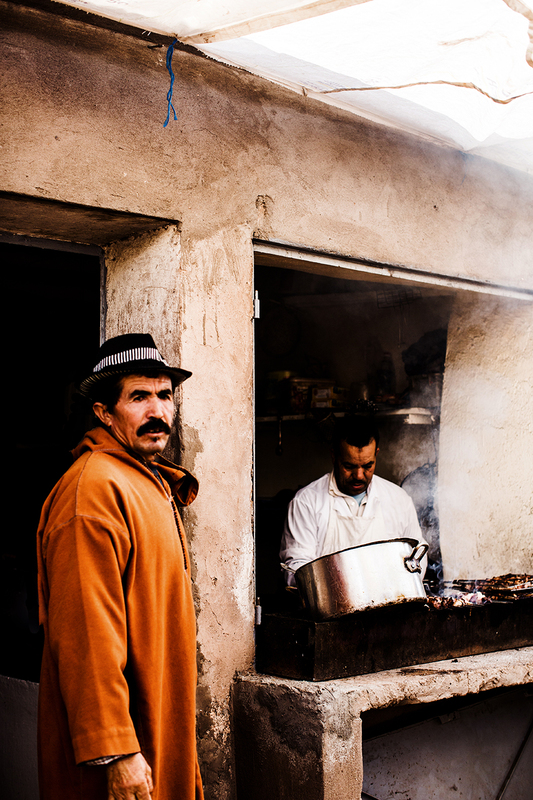 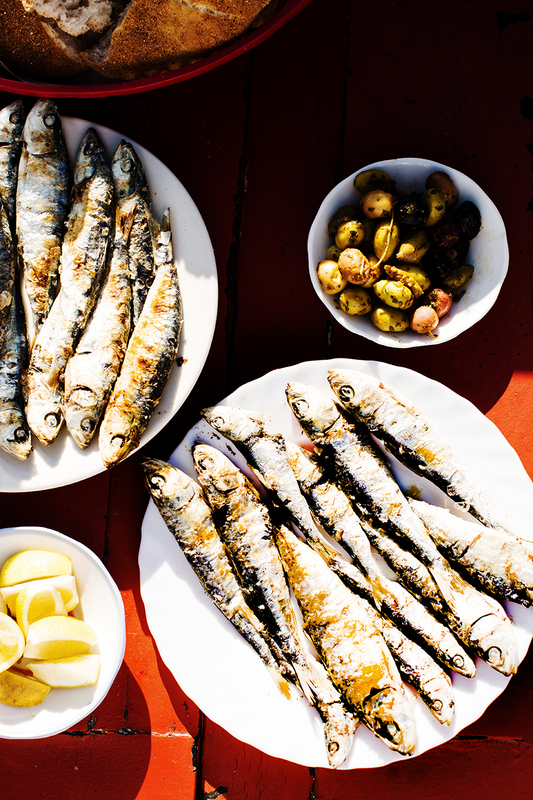 Above left: a local man, Morocco / Above right: fresh caught seafood, plated into a traditional seaside dish in Essaouira. 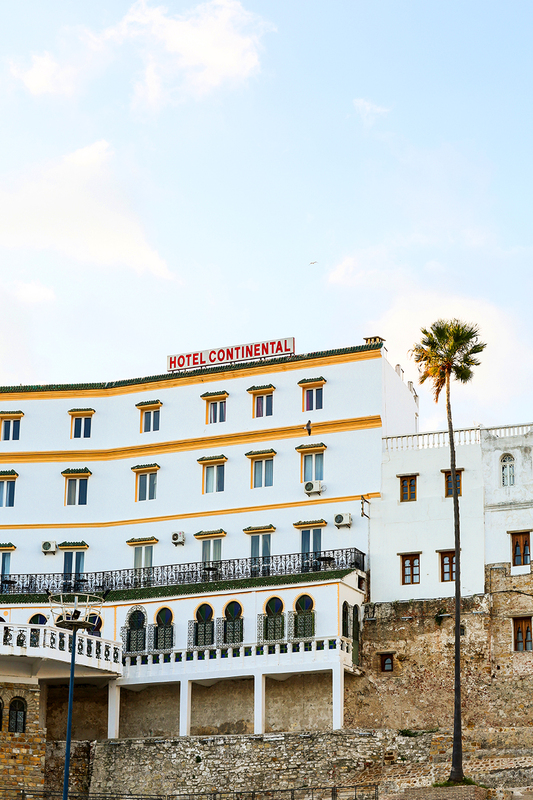 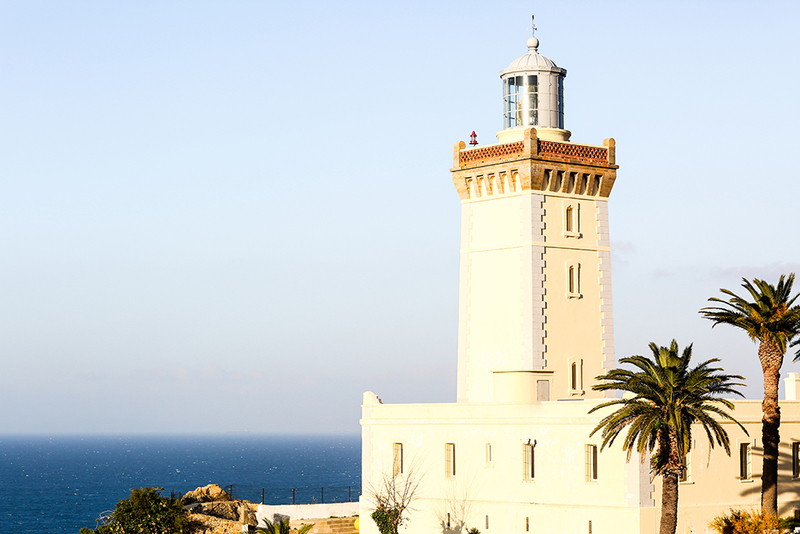 Above: Hotel Continental cascades down the Moroccan coast of Tangier. 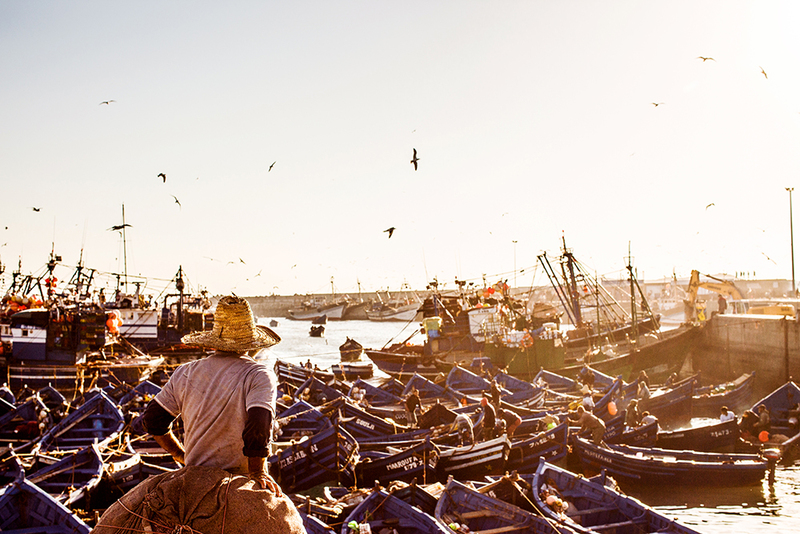 Above: non-stop activity surrounds the fishermen as they prepare for their morning expeditions, Essaouira. 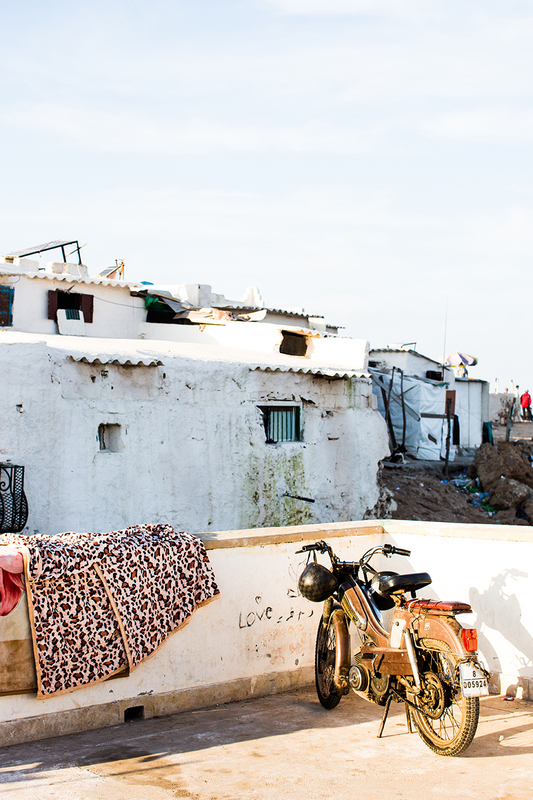 Above left: the ramshackle rooftops of Casablanca / Above right: a motorcyclist pauses to take in the view, Casablanca. 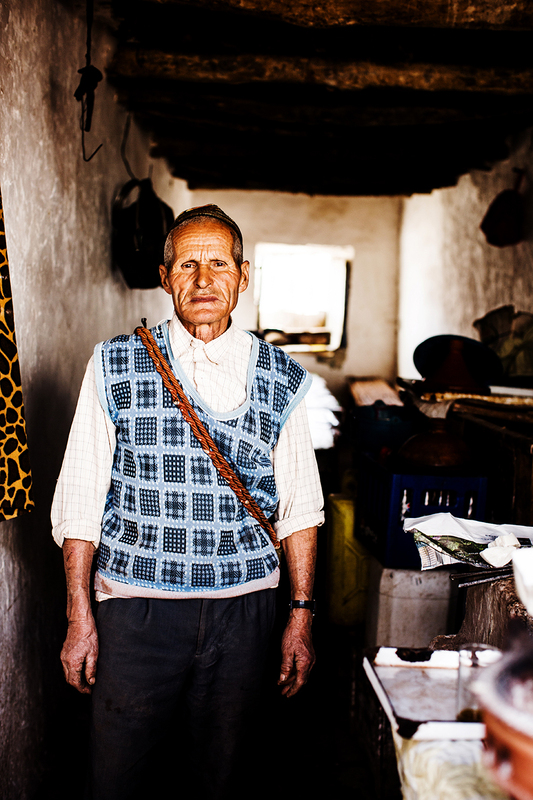 Above left: a porter at Riad Tarabel / Above right: the white architecture of Tetouan. 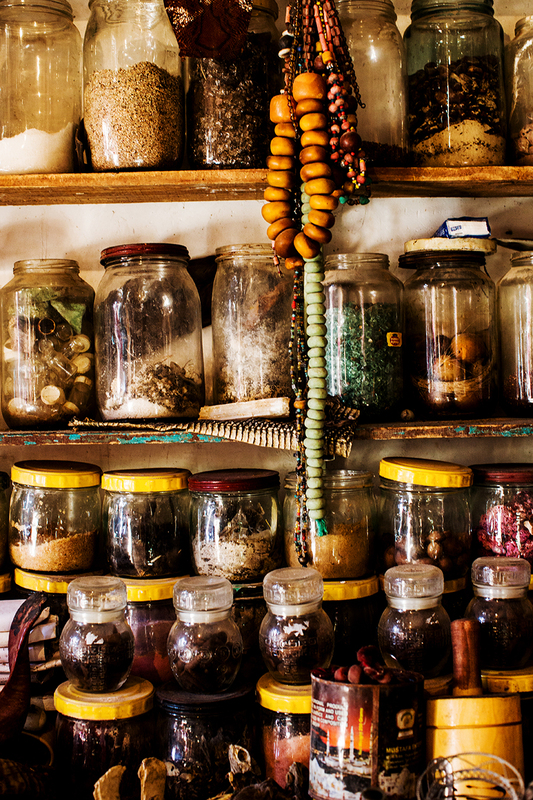 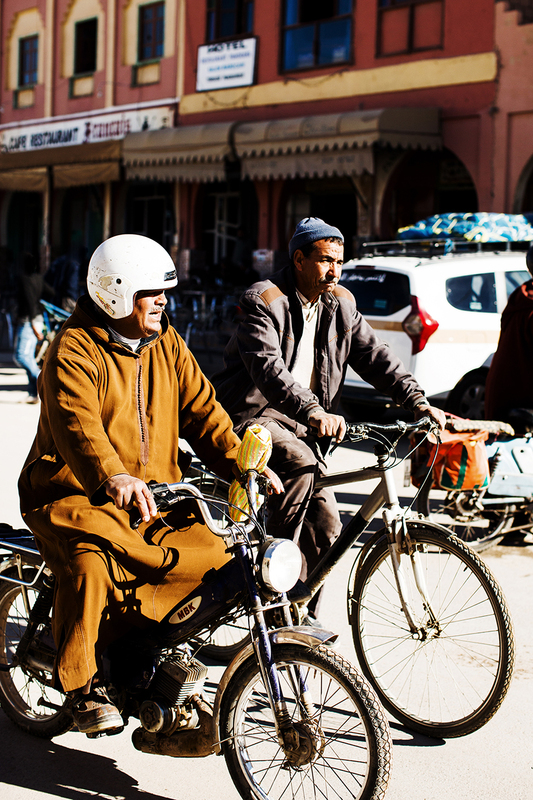 Above left: different modes of transport in Rabat / Above right: an old mystic herbalist in Marrakech, used for both white and black magic. 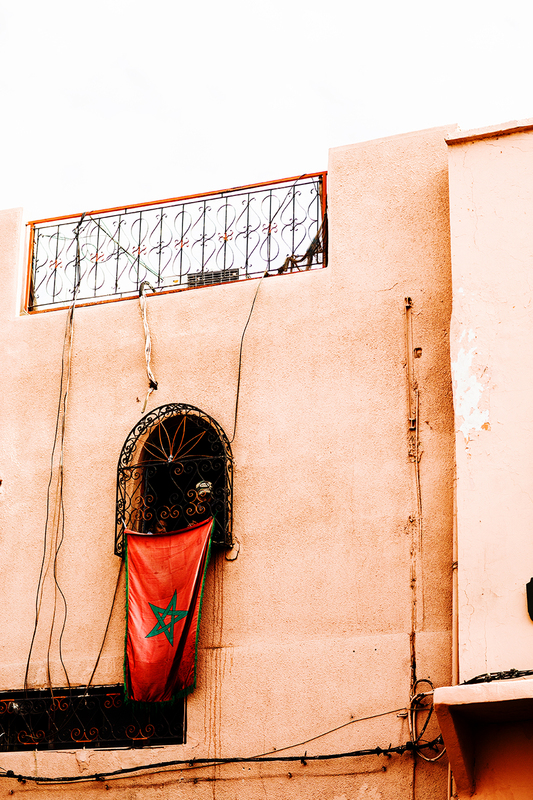 Above left: a villager rides a mule through the streets of Rabat / Above right: the Moroccan flag blows in the wind, Marrakech. 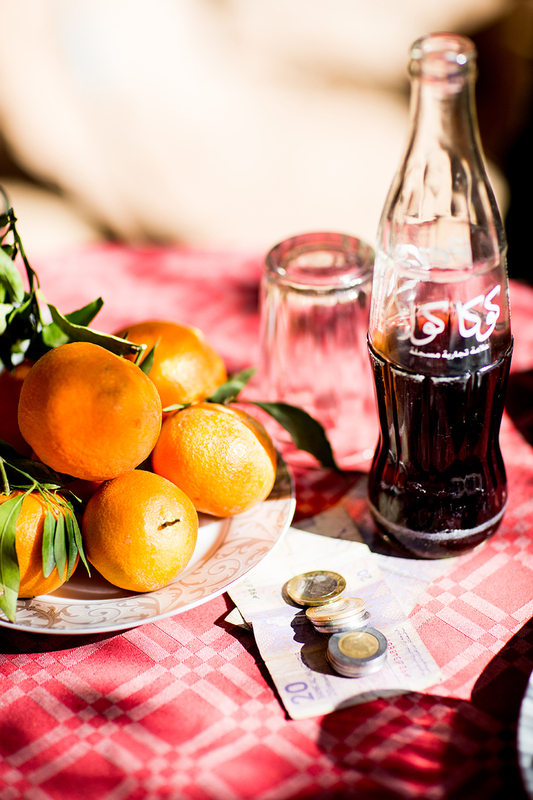 Above left: a shanty town on the outskirts of Casablanca / Above right: Coca-Cola and fresh oranges. 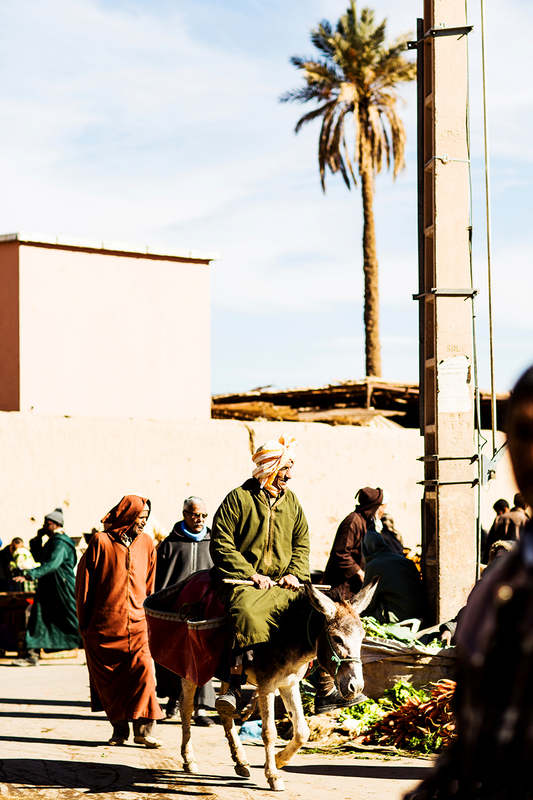 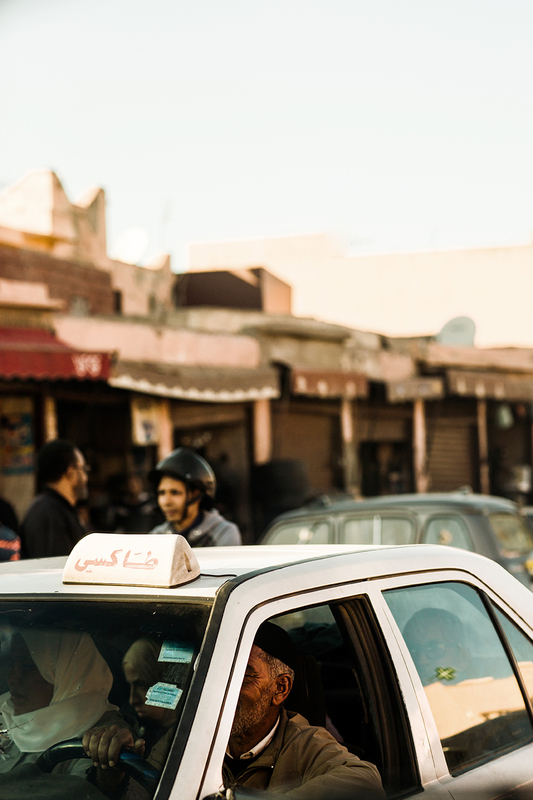 Above left: a local village woman / Above right: a taxi driver in Marrakech. 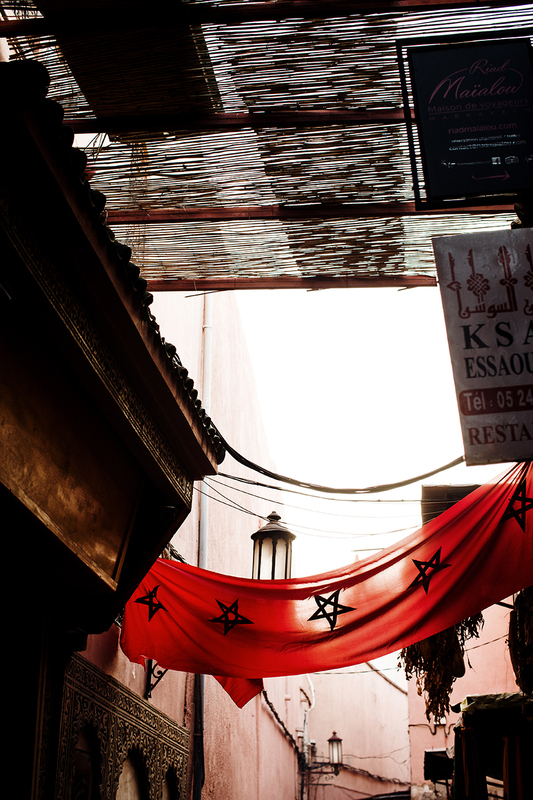 Above left: the Moroccan flag in an archway in the medina of the Old City, Marrakech / Above right: a street performer in traditional clothing. 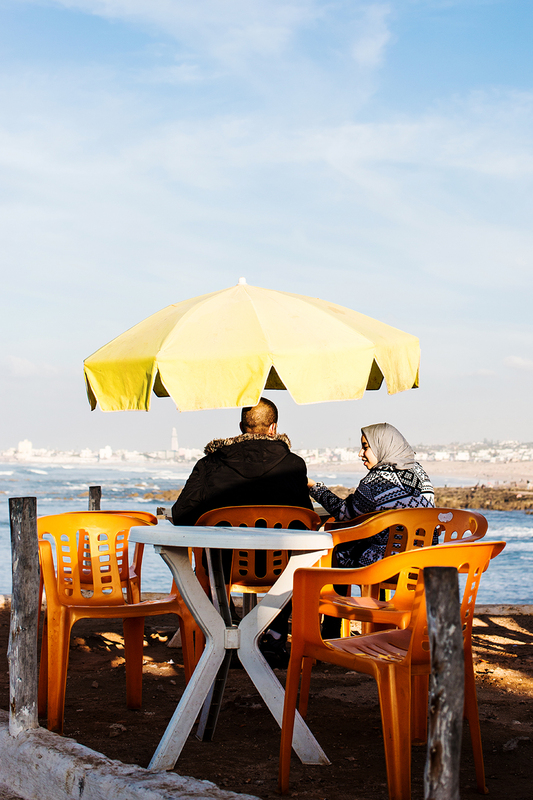 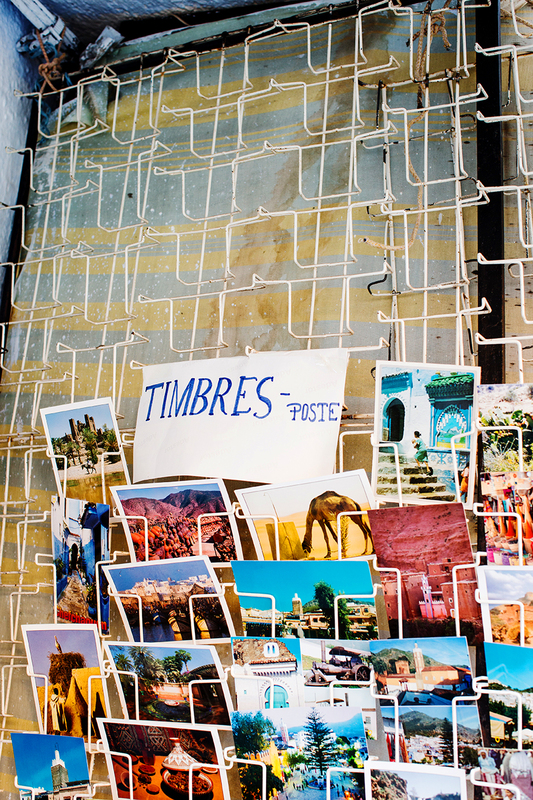 Above left: locals enjoying Casablanca / Above right: postcards from Morocco. 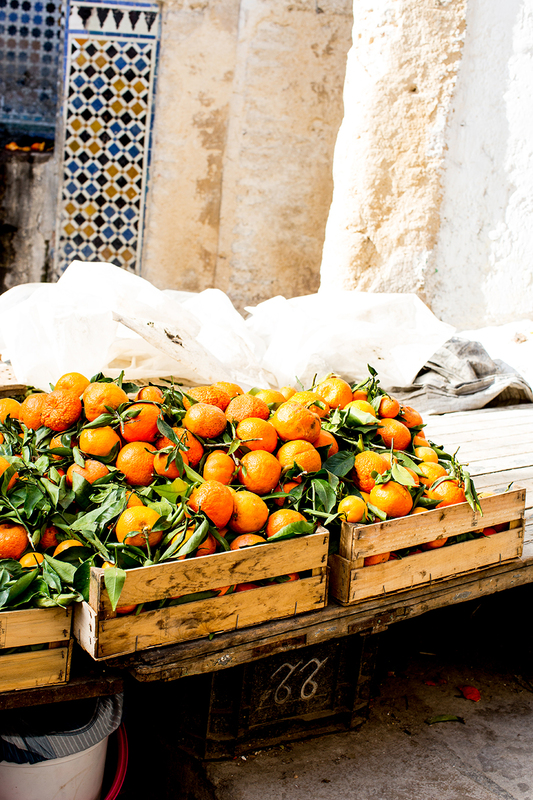 Above left: seasonal orange, Tangier / Above right: a local riding his bike through Marrakech.